The Food and Agriculture Organization of the United Nations (FAO) met with partners at the ProMusa International Banana Symposium that took place at the International Horticulture Congress in Istanbul on 12–16 August to engage in global discussions on Fusarium wilt disease plaguing banana. 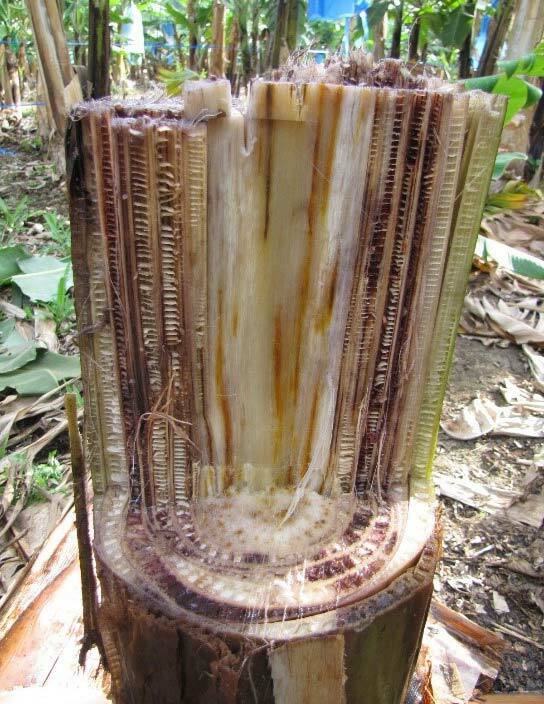 Stump of infected banana tree. Source: Viljoen, 2018. The workshop was organized as part of the Global Programme on the Banana Fusarium Wilt Disease by FAO and partners, which include Bioversity International, IITA, and World Banana Forum, to finalize two guidance documents—a collection of recommendations for travelers and a policy guide—to prevent the spread of Tropical race 4 (TR4) of the fungus Fusarium oxysporum f. sp. cubense, which particularly affects banana in Asia but is seen as a global concern. Dusunceli further explained that Fusarium fungus is spread through infected plant material and infested soil particles attached to vehicles and farm equipment. “Irrigation, drainage water, and floods play critical roles too, but the disease is made a ‘real threat’ by systematic weaknesses such as limited capacities to implement phytosanitary regulations, lack of awareness among banana farmers and workers, and the absence of effective biosecurity measures at the farm level,” he said. He added that it is important to strengthen international collaboration and bolster public-private partnerships for the Global Programme, which is a US$98 million project, to actualize its goal of strengthening national capacities to implement the necessary phytosanitary practices for prevention and containment in countries not yet invaded by the disease and for management in countries where the disease already affects production severely. Tropical race 4 of the fungus Fusarium oxysporum f. sp. 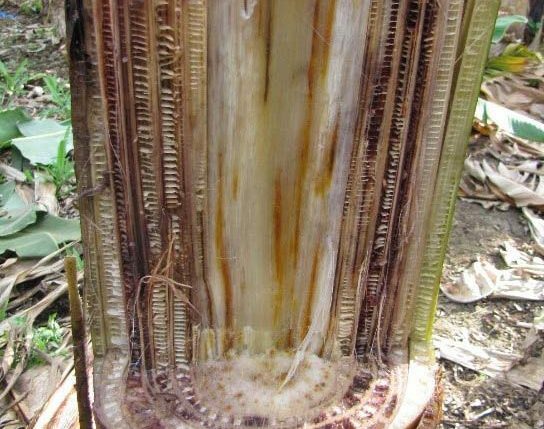 cubense (TR4) poses a grave risk to the production and trade of banana, with potential consequences for markets and for those depending on this popular crop as a source of income or staple in their diet. The Global Programme on the Banana Fusarium Wilt Disease promotes communication and advocacy globally and contributes to raising awareness of the disease, particularly in Asia, Africa, Latin America, the Caribbean, and the Near East.